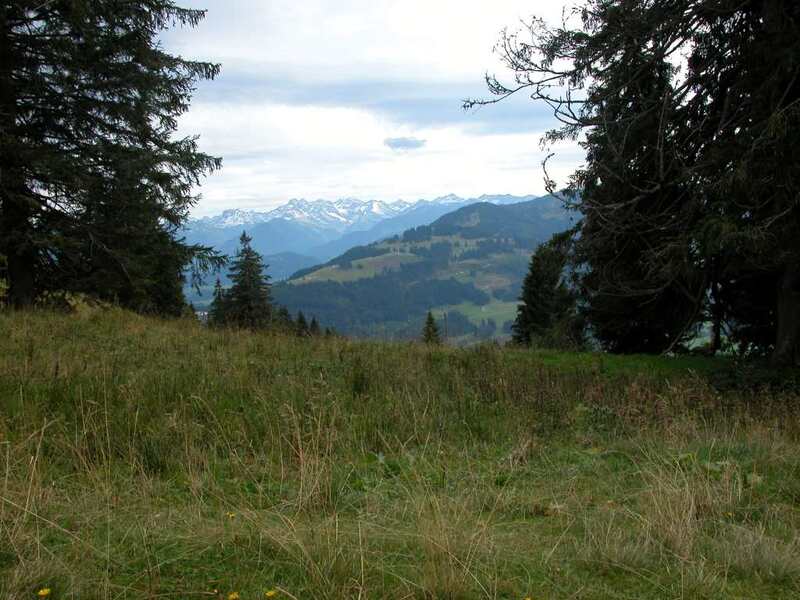 Me and my girl was yesterday in the german pre alps. We look for semis and we found some. My girl had great eyes she found very much shrooms. It is a little to early but i only want some pics and a few specimens for myself. Many was very small, i think in 2-3 weeks it is much better to hunt for them. Beautiful pics man. I love the mountain shot! 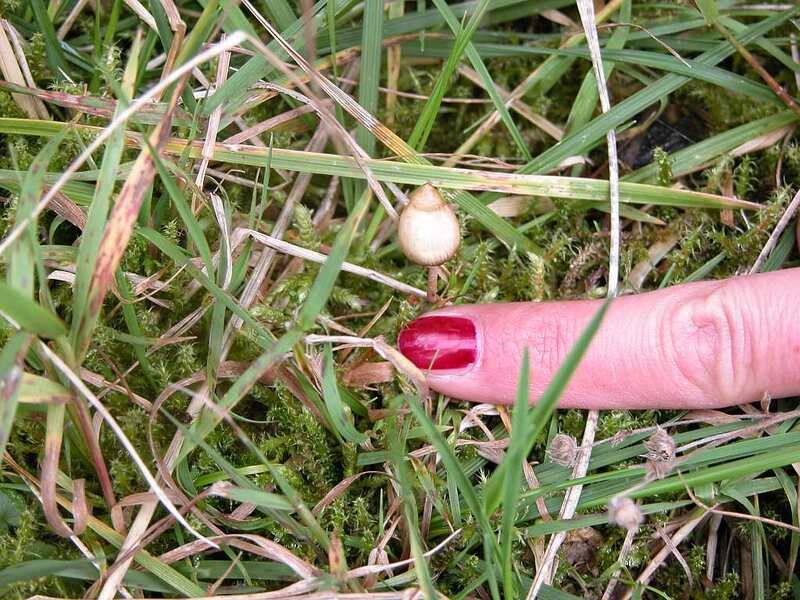 I have never found Semilanceata's in nature,luckely we can grow shroom in our homes ! i think in your area grow much but it is a little bit hard to find nice places. The farmers dung their fields to much. Years ago i also know here some semi / sub spots but then they build an golf course. They fertilize very much and now no more semis/subs growing there. Is Oktober/November the best time ? on which habitats did you find subs? I've found some last weekend but I didn't tried them yet. Maybe now, lol. This is Dr. Jochen Gartz, a colleague of mine from the university of Leipzig. 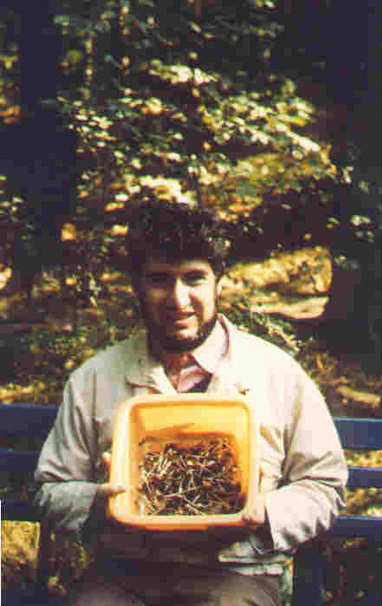 This is a picture of him with a small collection of liberty caps picked in an open field near Leipzig. Dr. Gartz is the author of Narerenschwämme (two different editions, the 2nd being the best one with photos by me and Jochen). when was that photo taken ? 1991. 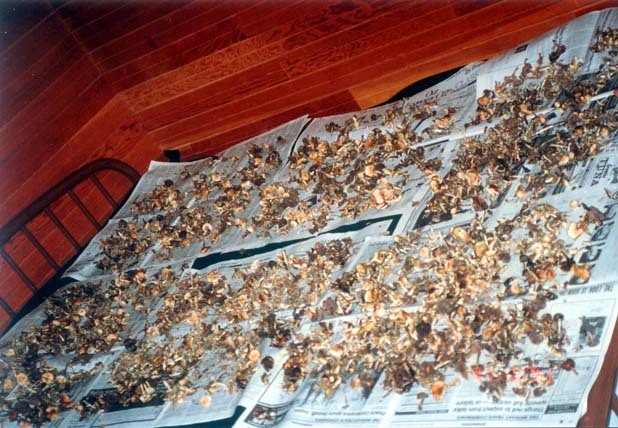 That was the year i brought gartz to america to lecture at the Breittenbush annual mushroom conference. Gartz was paid by the German Scientific foundation for me to take him shroom hunting in the PNW. WE had about 12 days together. Found a lawn of Stuntzzi's at a MacDonalds near Tumwater , Washington. And Thre P. baeocystis in Seattle. We stayed at a friends house on Holstein Island in the Puget Sound. 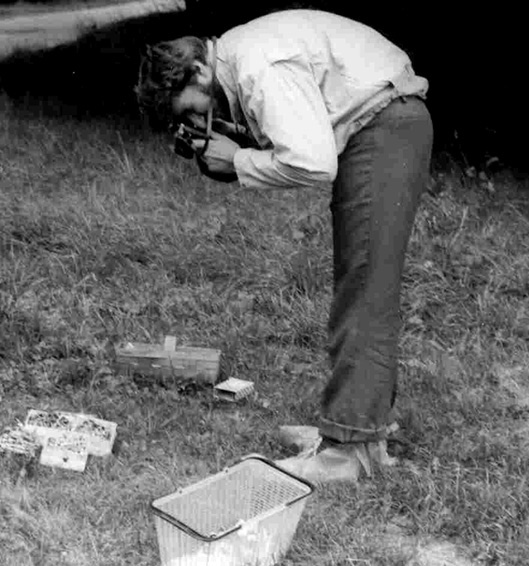 Then we drove to Shelton and visited with Paul Stamets who loaned me a sliode projector for my lectures at Breittenbush in Lake Detroit, Oregon. 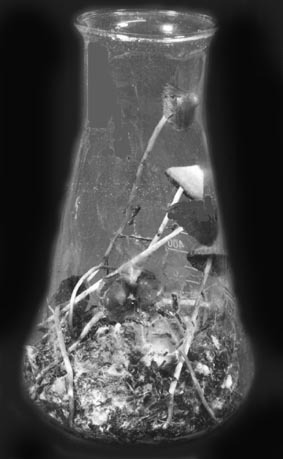 Then we headed south to Astoria, Oregon where we both picked some cyans, azures and liberty caps for chemical analysis and then went to Florence looking for mycologist and Truffles expert (real estate agent) Gary Menser who wrote the Hallucinogenic and Poisonous Mushroom handbook. We found out that Gary was in Eugene, Oregon attending the Eugene Oregon Mycological Societies Yearly Mushroom show. For dinner, I decided to treat Jochen to a Red Robin Burger ($6.00 at the time , 1991) and we pulled intot he Red Robin Rstaurant and Bon Marche Parking lot just as the sun set. I saw some non-edible shrooms in a bed box and suggested we come back the next day and take a look around the mall where we were along the Willamette River. So the next morning we checked out of our motel and drove to the mall. 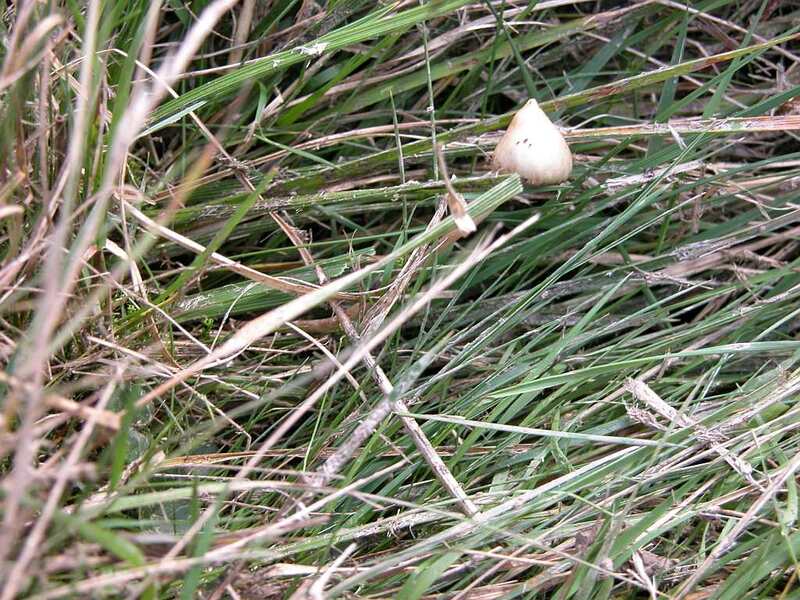 There in the parking lot we found what must have been close to an 80 pound patch of blue ringers (Psilocybe stuntzii). WE could not even pick them all and in three hours, we both had about 15 pounds of magic a-piece. Here is a picture of of my bed. There was another layer under the bed. I ddi not think about stepping back to photograph the whole bed and floor. I shold have. Would have been a better picture than just showing the top. This is inside a geothermal heated cabin at the hot springs at Breittenbush where we went to lecture. The next year I brought Tjakko Stijve from Switzerland and Karl L. R. Jansen from Auckland, N.Z. I like your threads mj. You always offer nice background informations. I think many years now about the indoor semi grow from gartz. The pics in his book doesn't look authentic for me. I just pulled out the book and look again his 3 semi pictures. I really belive that thats no indoor growed semis on this pics. So many good looking shrooms with this tiny amount of substrate. Also the grow reports in the second part of the german book "Pilzzuchtbuch" sound more theoretical then real. I would be nice to know weather pics of the atzetcorum,caerulescens , mexicana.... grows exist. I unsure weather gartz really print fake information about some grows but for me it looks like this. 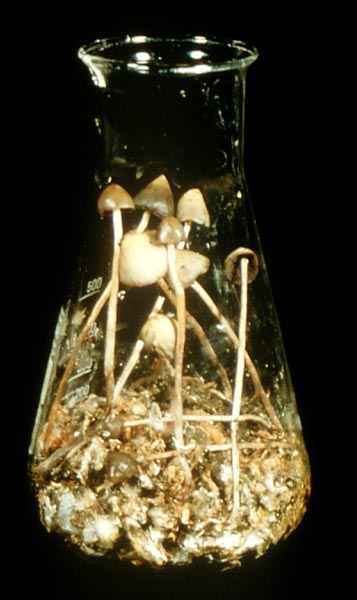 Yes, Gartz did grow liberty caps in vitro in his lab at the University of Leipzig. Here are two images. I will make a note after. The first two pictures are from Gartz. The third image is from Workman of Spore Works labs. It took Gartz a long time for him to get these too fruit. 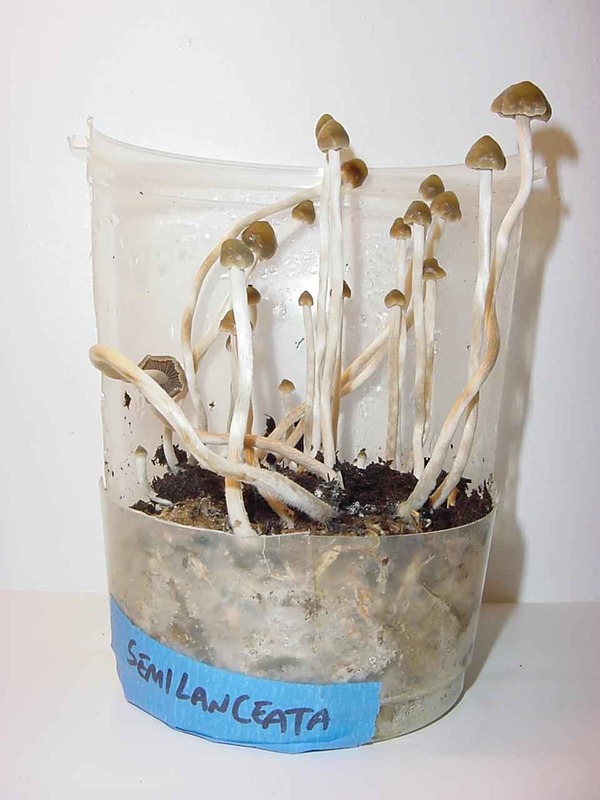 I point this out because it took him over four months to grow just six specimens of Psilocybe samuiensis. 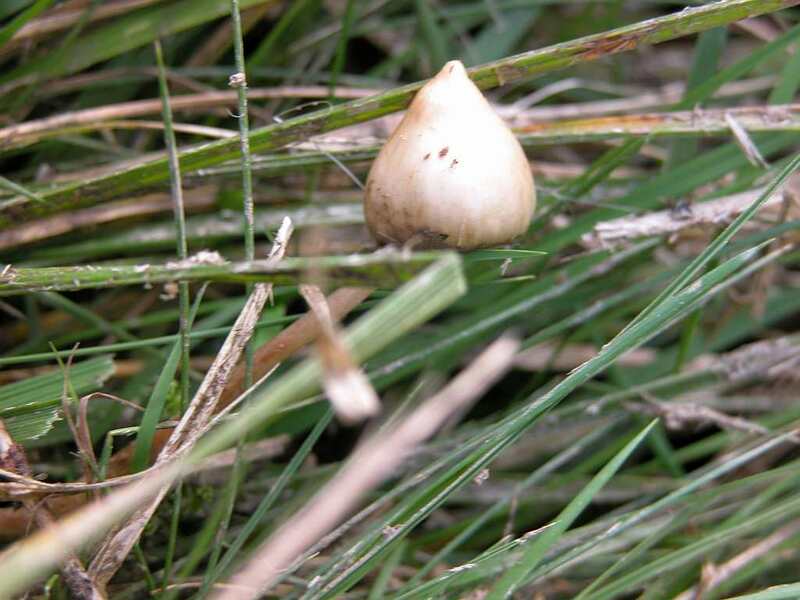 One reason they are hard to grow is that their mycelia grows attached to the roots of wild grasses and that is lacking in a flask. I have four different versions of Narrenschwämme, two different German editions, one English with bad reproduction on my color photographs and a second copy for book distributors to help in promoting and selling the book with perfect color reproduction. [redacted] who translated Gartz's book into Magic Mushrooms Around the World, ripped him off royal on royalties and most of the money she made from selling the books and also the charging Gartz the cost for printing the books. The English book followed much of the writings from my works and from Gartz and I spending two weeks together in 1990 when I helped introduce him to an American audience at Breittenbush, Oregon mushroom conference. 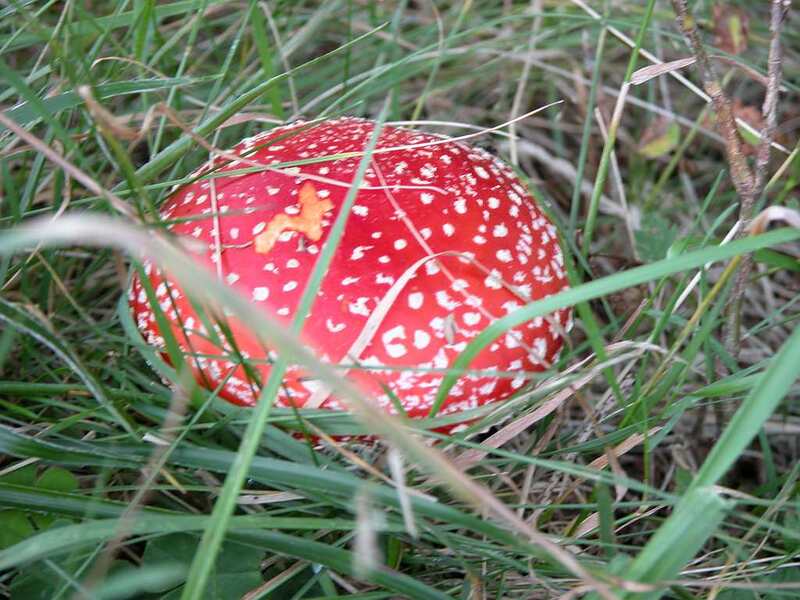 But he did grow the mushrooms. I saw them. He has also made errors as all of us involved in this field of study have over the years. 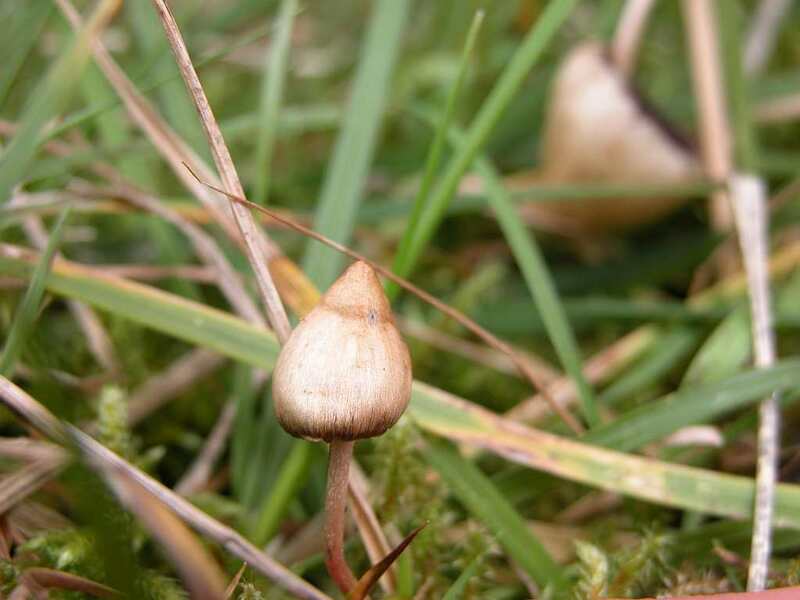 He analyzed several species and published their chemistry and later Dr. Stijve studied the same mushrooms and found no chemical activity of tryptamines. Here are the two Gartz I fond and I* have mo9re somewhere and then Workman's cultivation of P. semilanceata. I had no idea these could be cultivated. 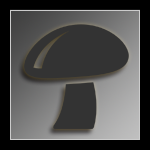 I heard of people prodcing mycelium runs on grass or straw, but no one mentioned fruiting succesully. So it is possible then? But extremly hard i take it. Yes, if it was a good thing to grow, many people would have been growing them yers ago. Even Steven Pollock grew a small batch of them but Bigwood and Ott were unable to get them fruiting. 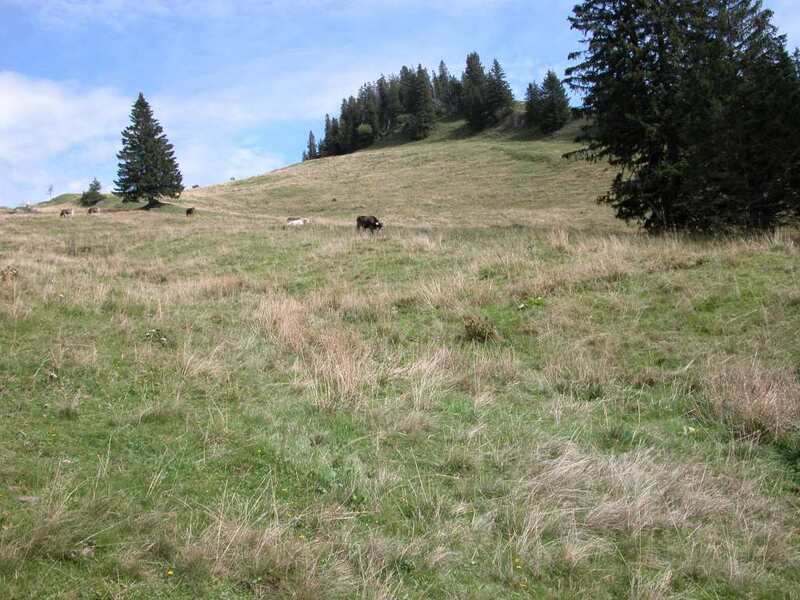 i found a new spot in upper austria (~1100m) but it was much to dry on friday and i just found 10 shrooms. this spot looks like yours and i hope to find some more next weekend. the next days it should start raining. i'll take some pics. [redacted] who translated Gartz's book into Magic Mushrooms Around the World, ripped him off royal on royalties and most of the money she made from selling the books and also the charging Gartz the cost for printing the books. Good grit - someone must be vested in spreading dirt about the people who helped publish Jochen Gartz's first English book. FYI, "Magic Mushrooms Around the World" was self-published in the late 90s with a one-time limited run of 5,000 copies. The author, translator, editor, proofreader, artists and layout designer all worked without pay on getting the book to print and once it was printed, the entire project barely broke even. NOBODY made any money on sales of the English translation. In fact, the entire project barely broke even. What do you have to gain by spreading information that you simply made up?